Having comprehensive Wisconsin Landlord Forms available at all times is essential. Vague forms that do not meet the standards or adhere to the statutes governing Wisconsin Landlord Tenant Law may not stand up in court should a legal issue ever arise with any of your tenants. Wisconsin Landlord Forms provided by American Apartment Owners Association provide you with the forms you need. The rental agreement is the most important document when you enter into a landlord tenant relationship. 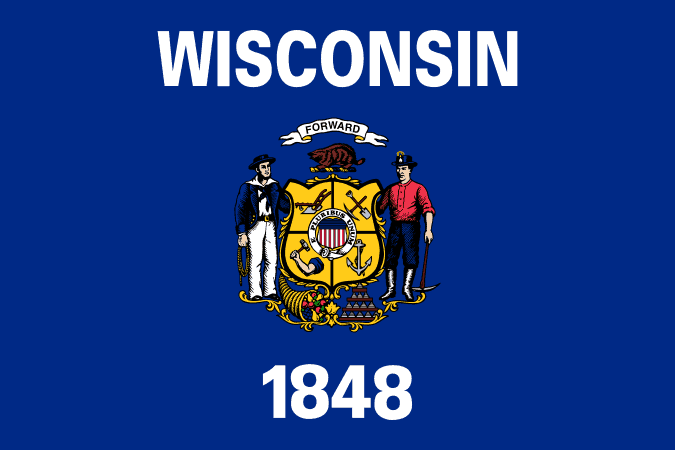 Wisconsin landlords are required to provide tenants with information related to the identification of the landlord and authorized agents who are authorized to act on the landlord’s behalf, in accordance with ATCP134.04 (1). The easiest method of providing this information is by providing it within the lease. Landlords must ensure that the lease complies with all Wisconsin Landlord Tenant Laws. Section 704.03(1) “Requirement of writing for rental agreements and termination” sets forth the guidelines of language in a Wisconsin residential lease. The language of a lease “is not enforceable unless it meets the requirements of s.706.02 and in addition sets forth the amount of rent or other consideration, the time of commencement and expiration of the lease, and a reasonably definite description of the premises or unless a writing, including by means of electronic mail or facsimile transmission, signed by the landlord and the tenant sets forth the amount of rent or other consideration, the duration of the lease, and a reasonably definite description of the premises and the commencement date is established by entry of the tenant into possession under the writing.” Section 706.02 specifically requires identification of the parties, identification of the land and requires signatures of each of the parties. The language contained in your lease is crucial so that it never comes into question. Feel confident that your lease is in full compliance with the language requirements of Wisconsin Landlord Tenant Laws. Get your lease agreement with your Wisconsin Landlord Forms and provide the required landlord and authorized agent information, terms of the lease, your signature as well as that of your tenant(s) and other pertinent information within the comprehensive lease agreement. The lease is just one of the imperative Wisconsin Landlord Forms that are important for you to always have available. In 704.08 of the Wisconsin Landlord Tenant Laws, landlords are required to “provide to a new residential tenant when the tenant commences his or her occupancy of the premises a check-in sheet that the tenant may use to make comments, if any, about the condition of the premises. The tenant shall be given 7 days from the date the tenant commences his or her occupancy to complete the check-in sheet and return it to the landlord.” When you include the Move In/Move Out Checklist in your Wisconsin Landlord Forms, you are complying with this required statute and also giving yourself documentation regarding the condition of the premises at the time the tenant moves in, should it become an issue in court. Enter a dwelling unit during tenancy except to inspect the premises, make repairs, or show the premises to prospective tenants or purchasers, as authorized under s. 704.05(2), Stats. A landlord may enter for time reasonably required to inspect the premises, make repairs, or show the premises to prospective tenants or purchasers. Enter a dwelling unit during tenancy except upon advance notice and at reasonable times. Advance notice means at least 12 hours advance notice unless the tenant, upon being notified of the proposed entry, consents to a shorter time period. Section 704.05 (2) provides that in the absence of a tenant a landlord may enter only if such entry “is necessary to preserve or protect the premises.” The State Bar of Wisconsin further explains in the answer to the question “When can a landlord enter a tenant’s premises?” that if the landlord gives proper notice, the tenant cannot refuse to grant access to the landlord. Include the Notice of Entry with your Wisconsin Landlord Forms to give your tenants the required advance notice when you need to enter the premises. Other essential Wisconsin Landlord Forms are available for the variety of landlord tenant situations that may arise at any time. The rent receipts will comply with the Wisconsin Landlord Tenant Laws requiring that you provide tenants with receipts. The notice of Past Due Rent, Notice to Pay Rent or Quit, Notice of Termination of Tenancy and Notice to Perform or Quit gives you immediate access to the Wisconsin Landlord Forms that are critical should the tenancy go bad. These and other Wisconsin Landlord Forms enable you to provide proper notifications as required by the statutes governing Wisconsin Landlord Tenant Law and offers you a great deal of protection when you and your tenants both sign the documents, agreeing to the terms of the tenancy, condition of the premises and other facts relative to the landlord tenant relationship. The American Apartment Owners Association provides landlord forms nationwide. Looking for a state other than Wisconsin?